The Early Childhood Program at Garden includes a Toddler classroom (two and three year olds), a Preschool classroom (three and four year olds), and a Primary classroom (four and five year olds). Three or more teachers are assigned to each group, with one licensed teacher in both the Preschool and Primary classrooms. The Garden Montessori classroom environment encourages children’s natural desire for independence and the development of self-esteem. Teachers guide children in making choices from the materials and also give individual and small-group lessons during work time. The classroom has an atmosphere of mutual respect and caring where children develop kindness, courtesy and self-discipline. Montessori education strives to awaken the young child’s spirit and imagination and results in self-motivation, independence and an ongoing love of learning. 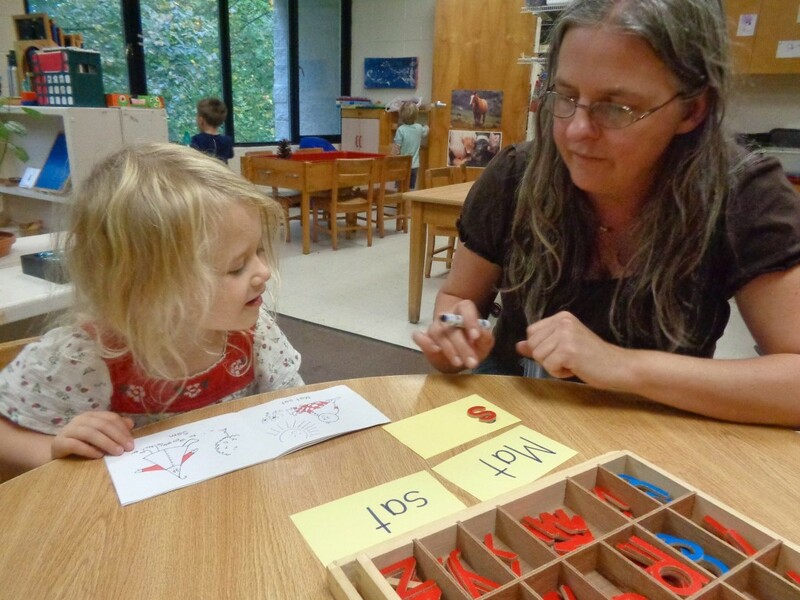 The Toddler and Preschool day begins at 8:30 each morning and ends at 2:30 each afternoon. 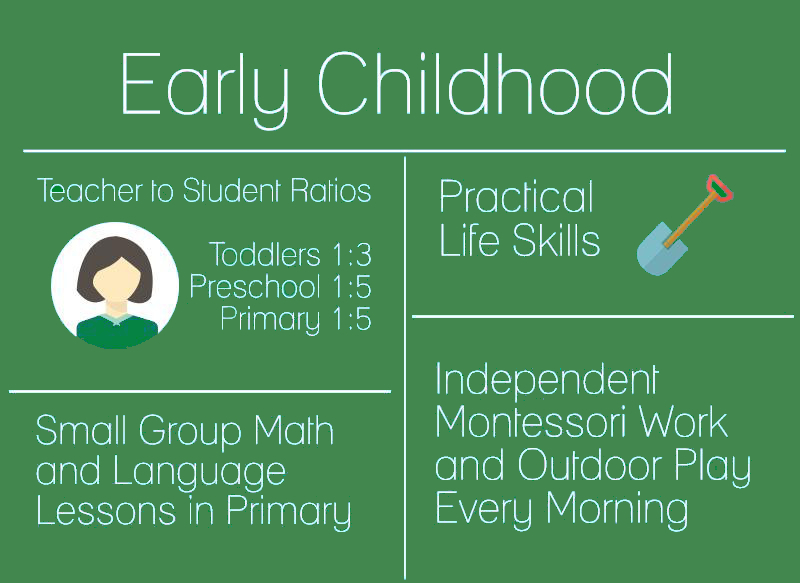 Early care is offered on an as-needed basis beginning at 7:30 am. Late care is available until 5:30 pm.